Buddy Sardenga’s custom Beelzebike the 20 666 ‘er turned a lot of heads last week with it’s ready-to-rip geometry and cool looks. Good looks aside, I think you (and I) want to see this whip in action. Thankfully, Buddy was kind enough to send some pics along of him putting the Beelzebike through its paces at the Allied Compound in Manor, Texas. Check out this great shot of Buddy sailing over the first jump at the Allied Compound. And this is probably my fave, sweet table over the hip. 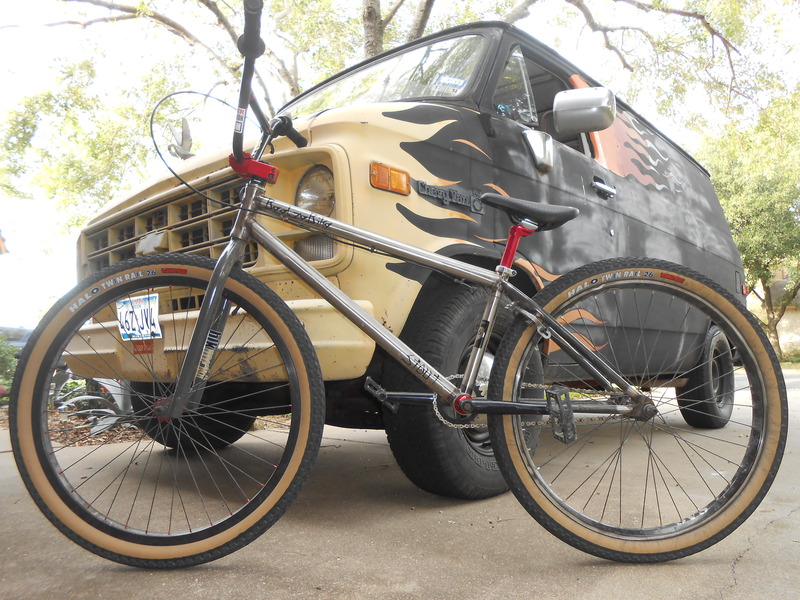 With all the cruisers popping out of the woodwork from non-BMX companies, Buddy Sardenga thought he would drop us a line to show us what he had custom built a few months ago. 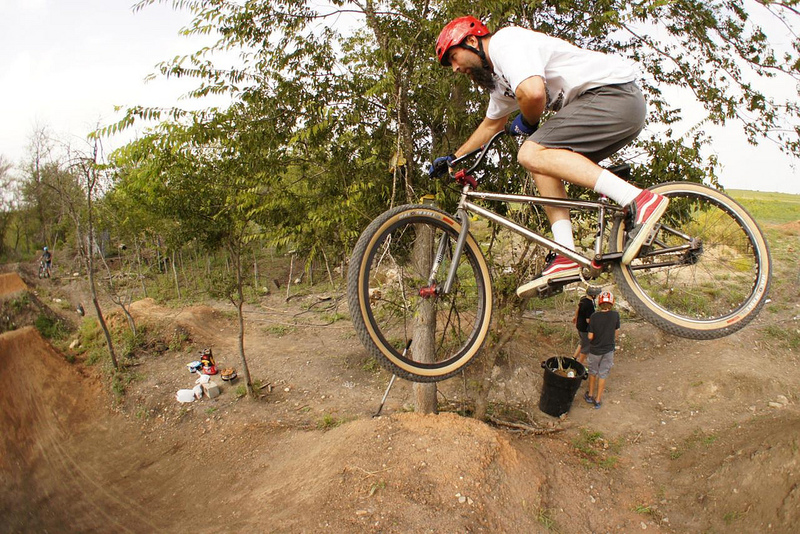 Buddy said he loved his 24″ Liquid so much that he wanted a 26″ that felt similar but rode smoother. So he contacted Matt at Stout bikes (outside of Houston) to talk to him about his plans. Buddy kept the same 74 degree head tube angle and 72 degree seat tube angle (from the Liquid frame) but bumped up the top tube from 22″ to 23.1″, the chainstays from 14.25″ to 15.1″, the seat tube from 9.15″to 11.5″, and the bottom bracket from 12.7″to 13.75″. According to Buddy, it’s amazing to ride, feels like his Liquid but a smoother ride (which is exactly what he wanted). He also asked Matt at Stout to put a devil head on the head tube but Matt did him one better than that and gave the bike it’s own set of devil horns! 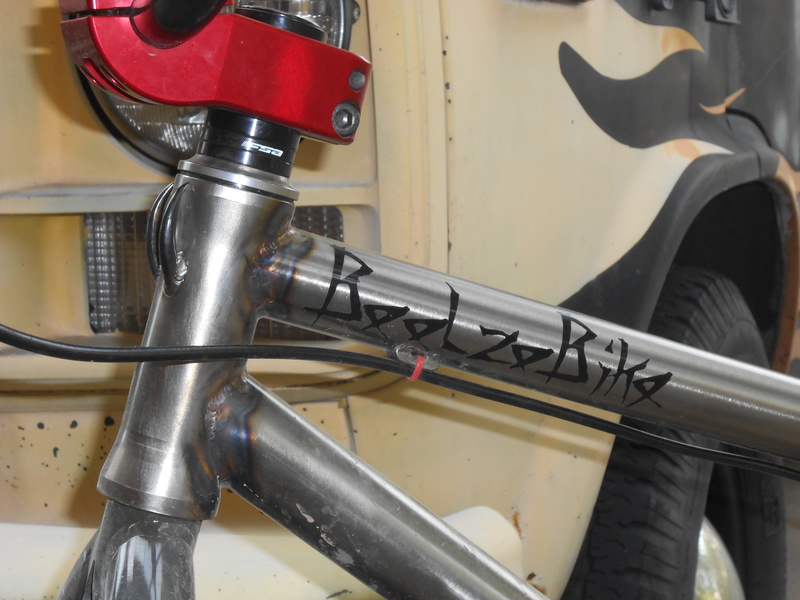 Beelzebike the 20 666 ‘er was born. In a world that gets more and more complicated, Transition Bikes has decided to make a bike that’s decidedly simple. Big on the fun factor and low on newfangled tech features. The Transition Klunker features a 4130 cro-mo frame, moto-style handlebars, big knobby tires and…wait for it… a coaster brake! 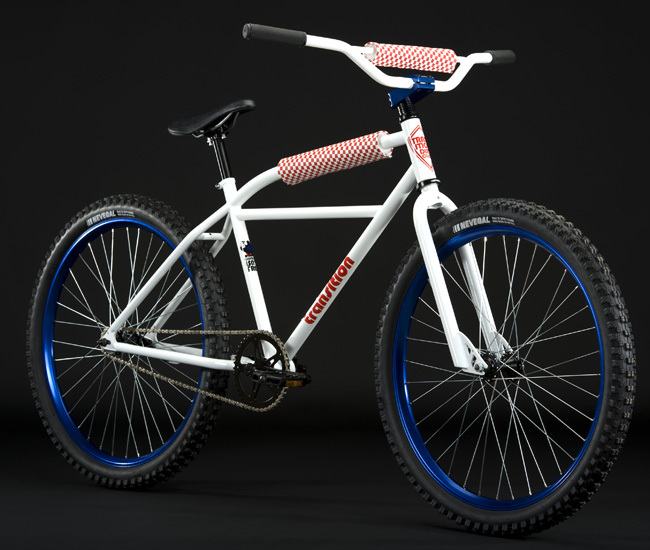 And yes, this is the second time in two weeks that we have looked at a MTB company crossing over to make a BMX cruiser…I think that we may have the beginnings of a bit of a trend here. But back to the bike. Two color options are available, Klunking Isn’t Free Eagle White and Party in the Woods Matte Black (both with checkerboard top tube and crossbar pads). I can totally imagine Scott Breithaupt ripping up an old B.U.M.S track on one of these bikes. 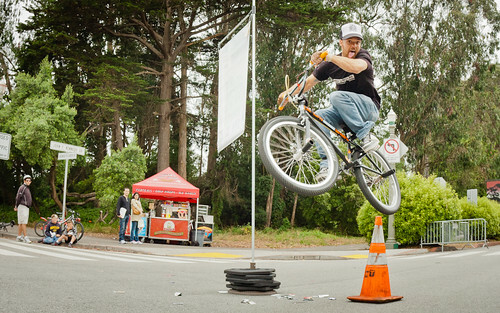 Actually, if you squint hard enough at this pic of Lars Sternberg you might think it was Scott throwing a flattie back in the day. Classic. Living in a world of pimped out rides isn’t always easy…but having a beer with your bros then getting sideways on the trails aboard a Klunker? * That’s as easy as it gets. Check out Klunking 2 for more on the Klunking phenomenon. I had the opportunity to pick up a couple issues of The Albion during my recent trip to the west coast and I was frankly blown away by how good of a magazine it was. Chock full of great interviews with legends like Bob Haro to modern-day shredders like Van Homan. And these were not the typical cookie cutter interviews so typical today…you can tell the guys behind The Albion are trying to raise the level of BMX journalism (if there is such a thing). Going a little deeper than just the surface stuff and giving you a real sense about the ‘whole person’ being interviewed and not just their persona they show to the BMX world. Perhaps influenced by The Albion’s growing notoriety, DIG has really stepped up their game as well. Their latest installment, #90, is called “The Legends” issue. Featuring four collectible covers, one each of: Brian Foster, Ruben Alcantara, Joe Rich, and Van Homan. 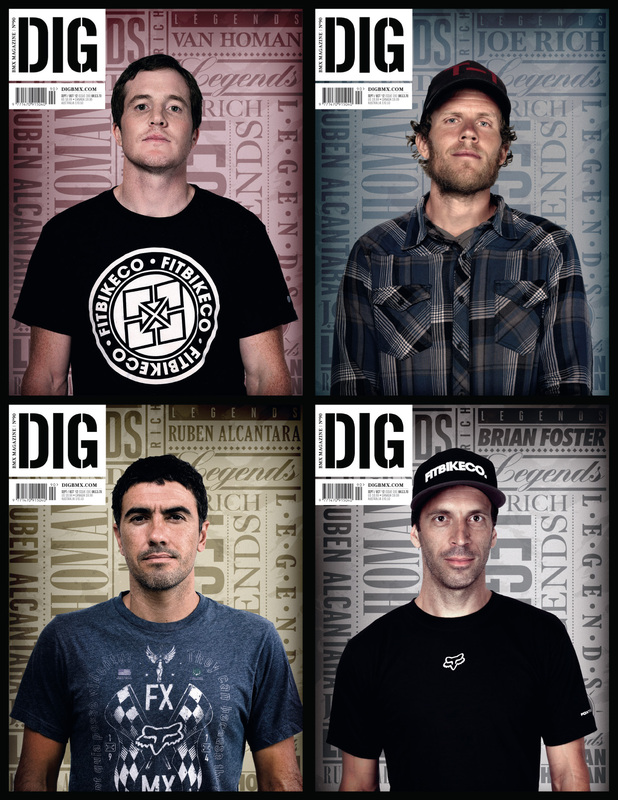 Like The Albion, this latest issue of Dig is filled with great interviews of the four legends on the cover, along with the “people, places, and events that have inspired and shaped BMX and [Dig] magazine since [the] first issue in 1993”. The magazine does a great job of both looking back and also capturing the energy of the current moment in BMX. In a time when print seems to be looked on as something bordering on irrelevant — given the reach and immediacy of online and video — it’s good to see people putting the time and effort into the print medium and keeping it fresh, real and something that can still move and inspire us. 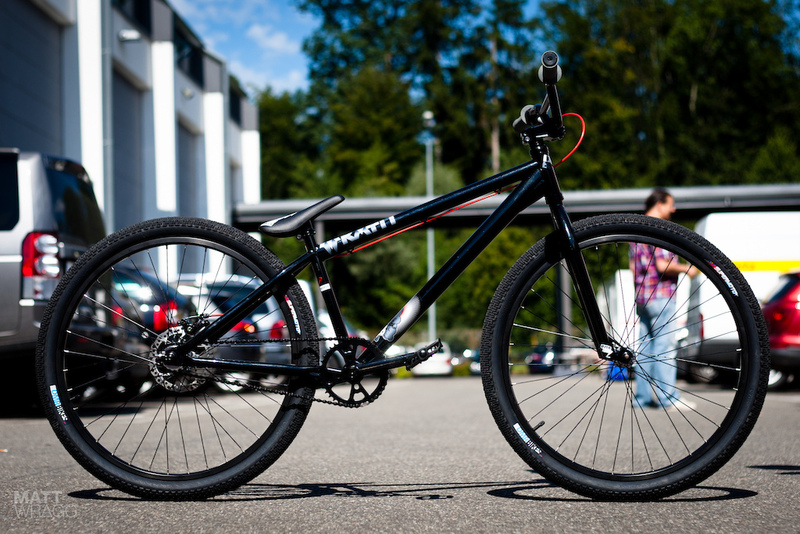 DMR Wrath: MTB or BMX? 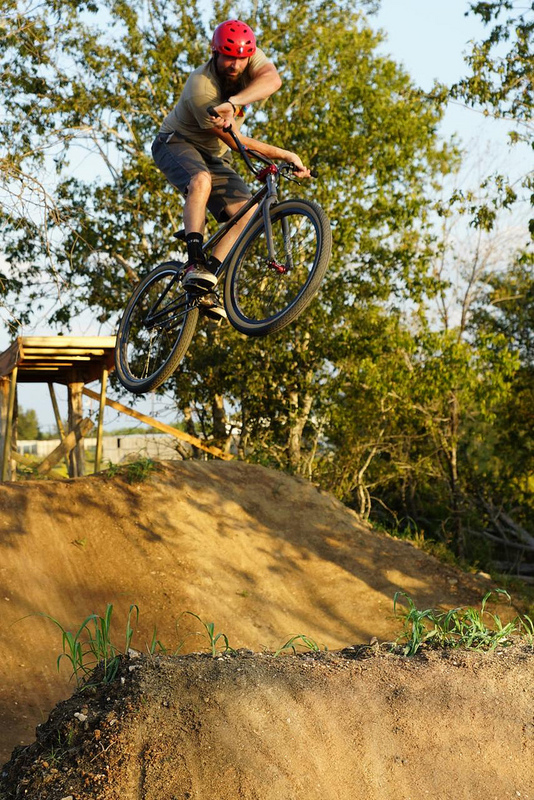 DMR Bikes have been putting out dirt jumping-oriented mountain bikes for some time now. 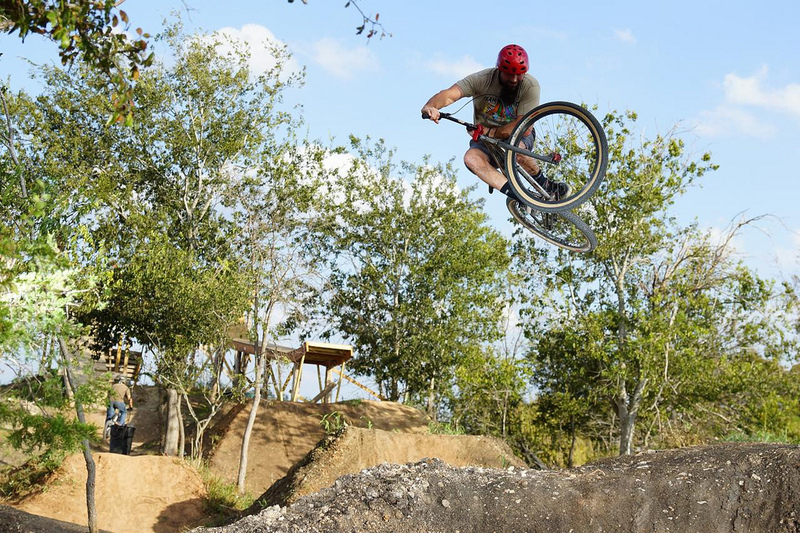 Based out of the UK, their irreverent, BMX-ish mentality has garnered them a considerable following. That following extends outside of the MTB community as well. I’ve seen a number of builds featuring DMR’s distinctive Supermoto tires and their Vault platform pedal is popular among MTBers and BMXers alike. 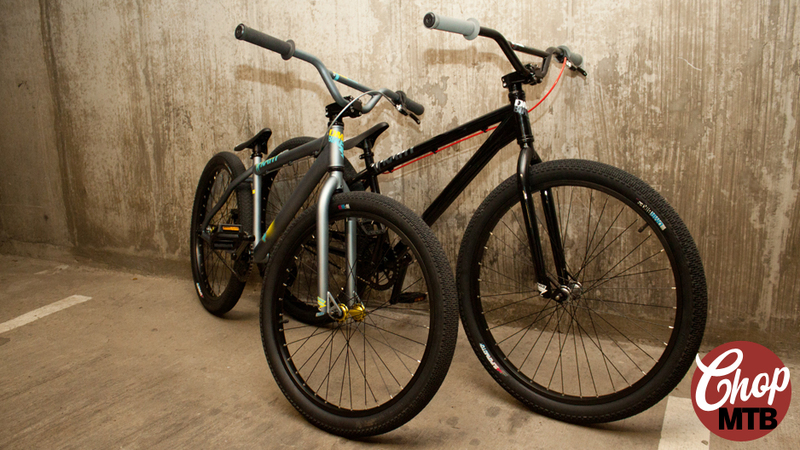 With the introduction of their 2013 lineup, that line DMR has been walking between MTB and BMX is getting thinner still. Sure, they still have full-on MTBs on offer but what got my attention is the new DMR Wrath. 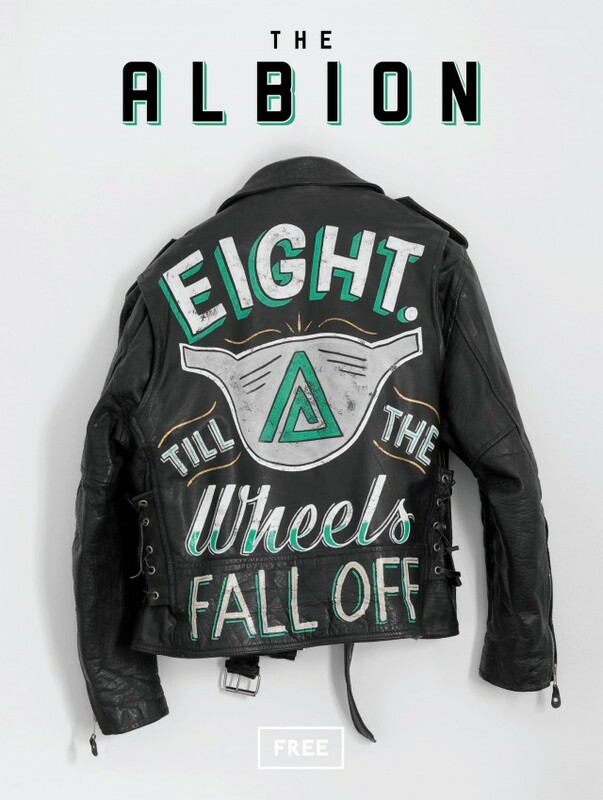 It certainly has a BMX look to it! Available in both 24″ and 26″ sizes, it’s built around a cro-mo frame and features a 3-piece cro-mo crank, plastic pedals, Supermoto tires, amongst other good things. Looks like a really solid build. About the only pure MTB feature to it is the disc brakes. Could this be the start of more cross-over style bikes from DMR? But I’m liking this first effort!